Amount of compensation unknown. But Faulkner and #60 mins are to be freed under " reconciliation". CARI crew still face charges. 60 Minutes crew members are free to leave Lebanon following a deal reached between Brisbane mother Sally Faulkner and estranged husband Ali Alamine in Lebanon in the 60 Minutes ordeal. “I release all the Australian crew on bail because Ali Elamein has dropped the charges,” the judge said. “That is the personal charges that have been dropped. But criminal charges remain. They will have to return for them. Nine must pay compensation for the crew to be released. Kidnapping charges against the CARI detainees will proceed. News Corp reports the deal has been reached giving him custody of the children, with Sally Faulkner likely to be released in coming days pending paperwork. The deal would separate Faulkner from the other detainees. Lawyer for Brisbane mum Sally Faulkner, Ghassan Moghabghab, told the newspaper earlier a deal has been done but would not elaborate ahead of a court hearing due to start at 11am local time (6pm AEST). He described the deal as “very positive”. “Somehow we reached a deal,” he said. Latest from Baabda is Channel Nine trying to link into Faulkner and Elamine deal. But prosecutor still has to sign off on any deal. Is there an extradition treaty between Australia and Lebanon? My guess is the 60 Minutes crew will never return for the criminal charges. Also, nice work 9 on dumping the other two fellows in this deal. No solder left behind! Not a smart idea. Judge would take a dim view. Could well be extradited from another country at any time. Whether or not bilateral extradition arrangements exist between Lebanon and Australia (and they don’t) doesn’t particularly matter. Extradition is never automatic; the agreement simply is that the country would consider an extradition request. If a request for extradition is made from another country to Australia, the Attorney General or the justice minister will review the request and make the decision as to whether or not to accept it. If the request is accepted, the person in question will be arrested and a court will determine if the person is eligible for surrender. If the court determines the person is eligible, they will be remanded into custody while the Attorney General or the justice minister decides whether it is appropriate to surrender them to the country that has requested them. Also, there would be no plausible grounds for an Australian Attorney General to oppose extradition. The were not wrongfully arrested no trumped-up charges. The evidence is pretty clear that they aided and abetted a criminal act – and most likely paid for it, in which case they are directly culpable. It’s also not like Lebanon’s legal system is manifestly unjust or draconian. i can bet 9 will milk this for all its worth, Tara could do an exclusive interview with herself! Since we don’t extrication laws over Lebanon wouldn’t that be the same in reverse? So Tara and the crew could just not go back for the court appearance. Would not be a good move. Court would take a dim view. If found guilty in absentia their future travels would be dramatically restricted. They could be arrested in another country for extradition. USA, Canada, NZ would not allow them entry, having a criminal record – if they were found guilty of course. 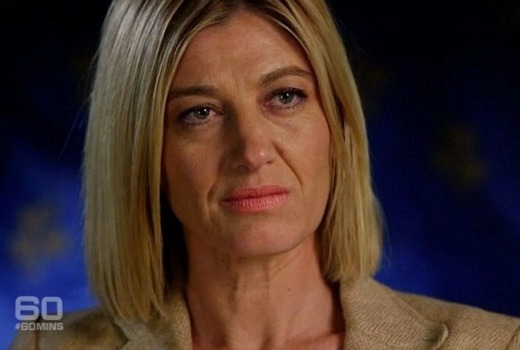 Wow, So Channel 9 / 60 Minutes has ended up paying compensation to the very person they were originally trying to get the children away from, plus ended up formalising the children’s custody arrangements in exactly the way they wanted to avoid. This isn’t all worth celebrating. From what I read the compensation is to be paid to the court…. Not the father. And the child custody agreement is in regard to Lebanese law… Not the Australian order that exists. I dare say she has just agreed to be released….. But the fight won’t be over. All court-ordered payments are paid to the court, even in Australia. Distribution is made by the court to maintain a chain of evidence. The Australian custody order is irrelevant. All of this happened in another country. There is an agreed arrangement between Lebanon and Aust. in relation to child custody matters in general, and a protocol to be followed under that arrangement.arrangement. I am sure the families of these people will be relieved. So does Tara do an exclusive interview now? Let it to be a lesson to people wanting to fly into other countries and take matters into there own hands. Although I do feel sorry for the mother who’s ex husband kept the kids in Lebanon. From what 7 and 10 are reporting, the “deal” is between the two parents, on custody. The judge has always specified the custody issue was a separate issue to the abduction. No one is suggesting there is a “deal” on the abduction matter. Not much point of whose to blame….just hope everyone gets their lives back. Sad that I think the children are the last ones that have been considered in this whole debacle. I wonder how much 9 have paid out to get the deal? Fingers crossed this is the case. The operation was absolutely stupid and dangerous and the crew did have a part in that. However, the blame lies with those who approved the story. Heads need to roll at 60 Minutes and 9 over this. The crew sitting in a prison cell for the next 20 years isn’t the answer. I don’t really understand why 60 mins is to blame…. The crew weren’t even filming when the “kidnap” took place. According to the mothers lawyer Ch9 paid the money to her and she engaged the Child Recovery Agency. Yes it’s obvious what she was going to do with the money, but it’s not like Tara Brown kidnapped a kid…. She didn’t even pay for it with her own money… People are acting like the crew did the actual “kidnap”. The people that should be the ones answering questions and getting the criticism are the “Recovery Agency”. It’s so murky – so many different version of events flying around. It will good to here what I hope is the full story when they return. If it turns out that Nine pay the recovery agency direct that’s so unethical – basically creating not reporting on news – but even if that happened, the blame is on whoever approved it, not the crew (although if did they know they placed themselves in very bad position). It sounds like Sally Faulkner has been less than forthcoming about the whole story which makes me wonder why Nine didn’t investigate more first. Huh? 60 minutes were the enablers in all of this, so of course they’re culpable. No one said, ever, that they directly kidnapped the kids, but they were involved in the planning and right up to the execution. And I don’t think the word kidnap needs inverted commas, they actually went through with it. I’m not saying the crew were involved, but there needs to be blame shared between Tara, the producer and the 9 execs. And to also explain the approx $1 million cost to the shareholders and advertisers who already aren’t getting their money worth this year. Tara Brown isn’t kidnapping kids nor is she writing cheques. She doesn’t jet off to wherever she pleases with a crew tagging along. She is assigned a story and a crew by the hierarchy. The 60 Mins crew were put in the situation by their bosses, the same bosses who approved the story and signed the cheque. If anything, the crew should be on the phone to Workcover.